I love how dry the main character is, the creative names for Supes, the shoutouts to NYC neighborhoods, and the relatability to the main character as a woman in her 30s. Excellent narration and really enjoyable. I hope there's another book! Kane has done it again. I was worried this book would fall into the trap of the sequel slump, especially early in the book, but Kane's follow-up to the first Andrea Vernon novel is a funny, well-written, broadly inclusive, overall fantastic read just like it's precessor. 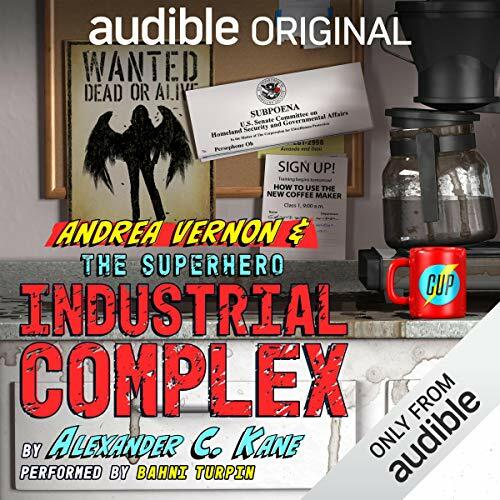 Like the first book, Andrea Vernon is sort of like the Hitchhiker's Guide meets the Avengers, and I can't wait to hear more. Bahni Turpin brings these characters to life, and I hope she reprises her role as narrator when and if we get a third installment. I can't imagine Andrea with any other voice. And OMG, those endings! We better get a third installment! I waited a long time for the sequel and it did not disappoint!! I laughed so much while listening to this book. I could visualize each moment and the narrator was great as usual. My only complaint is Bexar county TX is actually pronounced Bear (like the animal) Lol. But if you don't know the county it won't bother you. Enjoy the book!! This novel is more of the same humor and style from the first book. would recommend it to all who enjoyed the first novel.